I like to think I’ve got skills. I’ve got this. I don’t like to think about how I fall short. Who does? We live our lives to be capable and independent and successful. And while I know we shouldn’t play the comparison game, I admit I do sometimes. I suspect you do too! So when it comes to living life well, I often think I’m doing just fine. Ever feel that way? But then I am hit by the reality that I don’t measure up. Sometimes (many times) to others, but definitely not to the powerful perfect standard of God. I am confronted with my brokenness or my insufficiency or insecurity or pride or or or. And I realize I have nothing. Nothing to bring to God that will make a difference in the decision of my eternal outcome. I realize that all my effort or goodness or skills aren’t enough. And you know what? That’s just fine with Him. He loves us and accepts us as we are, knowing we are in desperate need of Him. The great reality is that He is EVERYTHING and He has made a way for us. We’ve been invited to a great feast! And it’s not a potluck. So BRING YOUR NOTHING and HE WILL BE YOUR EVERYTHING. Why would He do that? Simply, because He loves us in our weakness and wants for us to be restored to Him. I am fine, but I am tired. I am on autopilot. That’s not entirely bad if the path is a good trajectory. But I am not taking as much joy in this part of the journey as I would like. I find frustration and grumpiness to be expressed too often. I am feeling more envy than I wish of those who travel and have leisure. I am confident in my call and choices, but it does have times when it tires one out. I am not going to crash and burn so don’t worry for me, but I welcome prayers. Today marks the anniversary of my last marathon, the marathon that did me in. You can read about it in an earlier post. The result of this marathon has been a year of the most incredible pain and huge measure of discouragement. Not a day has gone by without some of the most intense pain. Pain in my feet mostly, but my legs as well. The doctors could not find any obvious problem with my feet. X-rays revealed nothing. But clearly there was some soft tissue damage in the foot bed, the arches, the heels, and more. Most days I could barely walk, let alone run. I would shuffle about, not having any ability to raise the heel and get into a fluid pace. Cycling was virtually impossible as well as the pressure on the pedal also caused pain. To this day the achilles pain has moments of intensity but the at least the feet seemed to have finally healed. That endured until about October. But without exercise or movement and the heaviness of discouragement, my weight has increased. The added weight has now caused further pain, some sort of joint reaction in my elbows and arms. I can barely grip things and shaking hands gives me intense pain. I find myself caught in this vicious cycle that a lot of overweight people find themselves in. One is heavy and needs to exercise but is too heavy to do so. I know to many (most) this sounds like excuses, but it just isn’t. When I was nearing my goal weight and doing the running, I felt a lightness and freedom in movement. It motivated me to get out and move more. But when one is heavy you feel anchored and every move is an exercise in frustration – not the type of exercise that motivates. Much of the battle is mental and emotional, particularly when pain is in the mix, but there is a physical component as well. As a result this has been a very discouraging year. Constant pain, extreme weight gain, and loss of fitness have led me to wrestle with a lot of frustration and perhaps even a bit of depression. As today approached I have been asking myself, “Do I regret running that last marathon?”. Of course there is no practical reason to second guess – nothing can be done about that. OF COURSE I would prefer to not have all the pain and weight gain this past year. I think not having run the race would have made the year very different. But I also completed a major goal. I learned some incredible lessons during and from the run that have been valuable. I understand empathy and the value of truthfully acknowledging one’s pain so much more. So no, I do not “regret” doing the run. I can not live by the “If only…” trap. I have to stand by my choices, whatever comes. But the choice to run, even with all the lessons learned, did have consequences. As all choices do. Ups and downs in my weight will always be my battle. Fitness will be harder for me than most. It is the genetic cards I was dealt. The emotional and mental, and even physical, battle will face me everyday. I hope I can find my way back. I hope I receive the empathy I have learned to offer. And as depressed and depressing as this last paragraph sounds, I do have hope. I really do. I recently had the honor to take a team from my church to serve at Door of Faith Orphanage (dofo.org) in the town of La Mision, B.C. Mexico. It is located between Rosarito and Ensenada. It is a most surprisingly charming place. If a child has to be in an orphanage, this is the place to be! As the Director, DJ, gave us his welcome and shared the values of the orphanage that he has led for over 20 years, one of the three values were Healing through Service. He began to share that the children and staff of DOFO are encouraged to serve, and not just chores. But real ministry outreach service. The kids raise funds, go on trips and make real differences in the places they go. This leads to a healing in their own lives as most are social orphans, having been removed from broken or abusive homes. Teaching them to serve others brings a lasting and deep healing in their lives. Javier is a man we met when we went to make and serve breakfast with the Baja Family Outreach located the Tijuana dump area. A church has been built in the heart of the community of thousands who live on reclaimed dump land. Most are uneducated and find their income by recycling garbage. Their homes are built with items found in the dump. We saw more than one roof made from the vinyl banners of highway billboards. As we made the breakfast a family of 8 came in, Javier being the dad. His children and wife sat down to eat the food we had prepared, but Javier stood at the entrance to greet people and watch over his family. I asked him why he wasn’t eating and he shared he normally volunteers. By our team being there, we had taken his job. Of course he was blessed by our presence and asked we pray for his family and to please return. But I saw something powerful in him. He had no money to care for his family as I am sure he would like, but by volunteering he felt he was part of providing. Serving was healing for him. Serving was empowerment for him. Serving made him feel like he was being a provider for his family. No better example of healing through service came in the story of Martita, a lady we met serving at another organization, Life in the Canyon (lifeinthecanyon.vpweb.com). 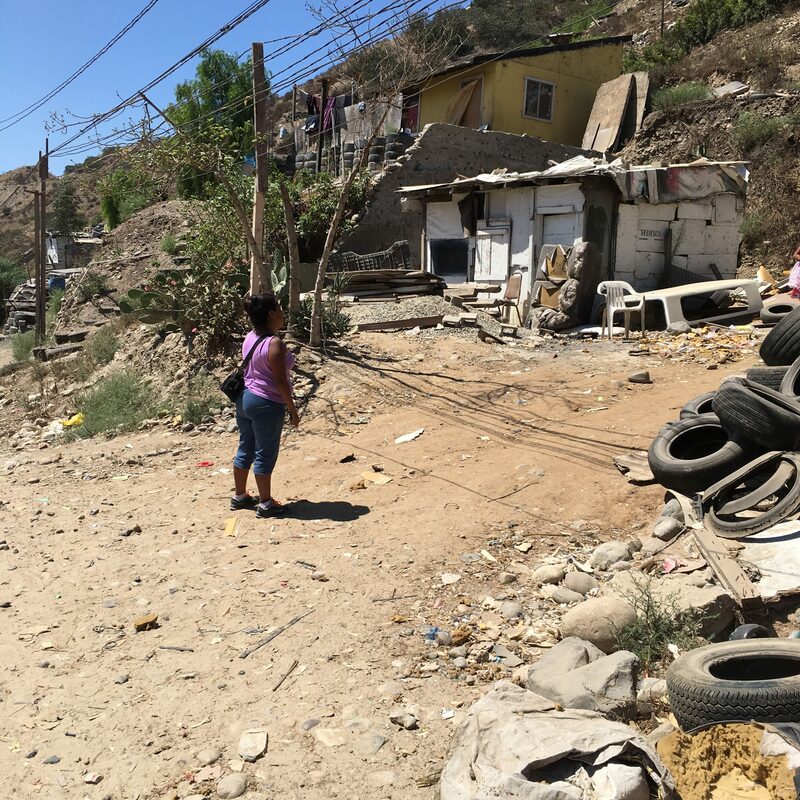 This group is led by Dave Hessler and he found basically the poorest community of Tijuana and began serving a number of years back and was an outgrowth of his time with the Baja Family Outreach. 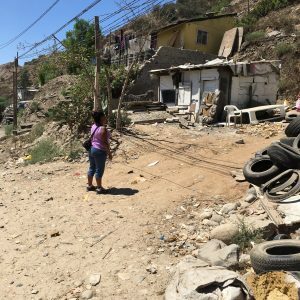 He landed in the former TJ dump that has created massive hills of garbage covered in soil and is now being reclaimed by squatters and the poor who have built pallet shacks and small homes. A little over two years ago Dave came across Martita as he walked through a cemetery. She was high on crystal meth and was digging through burn piles for scraps of metal to sell to support her habit. He offered, through his ministry to serve the community, some help. At first, if I understood her story, she didn’t accept, but time after time he continued to reach out to her and eventually she came to the community center. There she saw loving people serving their community and something drew her. She asked if she could serve and they found a place for her. The desire to quit drugs grew and at a point she quietly decided to stop. After a week went by being clean, she came to Dave and shared her good news. He told her to go one day at a time and every day to come and give him a number; the number ‘1’ for one more day of sober. He wrote that number on a white board and eventually it grew from 7, to 25, to 50. As of our meeting her it has been over 2 years! Her love for God, her purpose found in serving her community, and the love shown her by Dave and others gave her hope and strength to go on. Today she is trusted with keys to everything, is one of Dave’s trusted assistants, and has a restored relationship with her daughter and grandchildren. She is no longer homeless but has a tiny micro-home built with money from a 16 year old boy who did a fund raiser in his church! She can’t read or write but has learned to post on Facebook in order to be connected. She gave us a tour of her community, the dump, and you could see the love she had for it’s residents. She found healing through serving! One of the things that I found most exciting with DOFO is that they don’t have teams come just to stay focused on them as an orphanage. DJ said many times to me, almost to the point of sounding a humorously insulting, “We don’t want you to stay here. Our kids have seen every drama and are pretty saturated with Americans!” But as he clarified you knew exactly what he was saying. Come and use DOFO as a hub to serve the broader area of Baja. Go to the dumps, build a house for a resident, serve at the rehab homes, do an outreach to drunk Americans at the beaches and bars, give out groceries and pray with residents of the dump. I believe DOFO is as blessed and beautiful as it is because it too has become whole by serving others and not manipulating donors and guests to selfishly stay committed to them. They have a mature faith, a generous faith. Over the years I’ve heard from many who don’t understand why so many in the Church appear to have a “woe is me” mindset. I can see their confusion, because if anybody should be joyful, it should be the Christ follower! And yet there is a paradox that exists in our faith. In fact there are many! We’re already saved yet are working out our salvation. We are at the same time both in eternity and yet also bound by time. We are righteous but know full well we are being sanctified. This last one leads to the what I think is the most beautiful paradox of all. It’s the place where mourning and joy exist in their fullest at once. It is in that state where grace is realized in such beauty! The Sermon on the Mount is a powerful and core teaching by Jesus that can be found in Matthew 5-7. The first section has become known as the beatitudes and has challenged and transformed me as I have wrestled with what seems like an impossible way to live. We know Jesus came to set us free from the “law” and yet at first glance this sermon calls us to a life even more severe. And so one is compelled to look deeper to reconcile the apparent contradiction. The first section of the beatitudes is where the tone is set. I used to think of each of the Blesseds like individual traits to attain. “I like the peace maker, but mourning, not so much.” Sort of like a buffet. But I’ve come to realize it’s more like a 6 course meal. It’s not a buffet, not individual attributes that we pick and choose from, but a layering, a building to become the person Jesus calls us to. And the first is necessary to move on to the next. When you are poor in spirit having come to the end of yourself, acknowledging you have nothing to bring to God, it’s then you mourn deeply for the reality of sin and it’s destruction in your life. It’s then that the power of meekness, the control of yourself is able to set in. The choosing of God’s control rather than sin’s. And at that point one is spiritually bankrupt, desperately hungering, desperately thirsting for God’s righteousness! The promise? We are filled. God imputes, or puts in us HIS righteousness! Then and only the does the rest of the sermon makes sense. Then and only then can any of us begin to live the sermon out! For example, take the passages on murder and adultery (Mt 5:21-30). It’s easy in our righteousness to live a life of fidelity and never murdering someone. Most succeed in that! But by age three we’ve all called someone a name in anger and by 12 we’ve all lusted. And so in my abilities I am a failure. And if we haven’t come to the end of ourselves and realized we have nothing, we are nothing apart from Christ, then we will never live the life God has made available to us through Jesus. Do I have a purpose and potential? Of course! Do I have gifts I bring to the table? Absolutely! Are they of any value? For this life and the common good? Sure. But for eternity, no! My righteousness is nothing and His is everything! And in His hands those gifts and potential will become something wholly different, better. So the beautiful paradox, the sweet spot…is being both mournful and filled with joy at the same time. Not dwelling in ashes, but acknowledging my capacity and propensity to sin. Not “woe is me” but most definitely full on mourning. “Woe is me” is a self-focused declaration. The mourning Jesus calls us to is recognition of our sinful condition. And the joy? It can and should be full-on crazy celebration! As I mentioned earlier, the sermon can seem like an even more severe life than the law. And here is what most fail to see and even when we see it, we find hard to experience. Jesus knows we can’t. We can’t live free of anger and lust and judgement and unforgiveness! That’s why He offers us His righteousness. That’s why mercy is given. That. Is. Grace! And until I come to the end of me and bring my nothing to God, there is no room for grace to be experienced. And so the dance of the paradox begins. Living in spiritual poverty and the riches of Christ together is the challenge. If you’re like me, and you are, you begin to take credit for spiritual maturity at times. You take for granted the all-encompassing nature grace must have in our lives. The longer I live in Christ the more I realize how much I need Him. The dos and don’ts are easy, grace is not. It requires dying and mourning and spiritual bankruptcy. But then and only then do we experience freedom and joy. By the way, this why we desperately need each other! But that’s another post. It’s a journey and one in which I hope you find joyful mourning. For the past six weeks our church has gone through a campaign using Rick Warren’s, What On Earth Am I Here For? (formerly, The Purpose Driven Life) book and materials. It has been a wonderful experience as all our LifeGroups went through a study together and our weekend services addressed the same topic each week. It also coincided with each person reading the daily readings from the book. And of course we threw in extra special events and activities along the way creating a really fun and unifying season in the church. Each week I sent out special update emails with various bits of information about what groups were doing, the reading schedule and more. It also included a “blog post” of that week’s purpose, adding some of my insight into the topic. Each week got a bit longer as I grew into doing this (I had not originally intended to include this). Even though some of post is specifically “to” our church, I wanted to capture them in and repost them here. Just in case you are not aware, Rick Warren’s premise is that God has designed his followers to live lives that demonstrate 5 purposes: worship, fellowship, discipleship, ministry, and evangelism. Here are the repostings of my insights for each of those. As you in your reading and in your LifeGroups look at the purpose of worship, remember that worship is not characterized as an act or ritual like bowing down. Instead it is an attitude of the heart and will – recognizing the value of someone or something and giving it the proper attention in our lives. So when we hear something like, “He worships money or sports more than God” it makes more sense. Of course nobody is bowing to money or sports or hobbies, etc. But we certainly can give them greater value and importance in our lives than they deserve. That is why Mariners believes so strongly in the role of LifeGroups. Of course thats not the only way to express and live in fellowship in our lives, but it sure is a great one! If your group is a temporary one started for this series, please begin to consider what it might look like to stay formed and work together to see Christ formed in each other. If you are not in a group yet, please seek one out. Take the “risk”, it’s worth it! Maturing in Christ, having Him formed in us, is our calling. To live like and become like Jesus! Somewhere along the way, the idea of disciple became synonymous with bible study and prayer times and daily devotions. And yes, disciples do those things! We do develop habits or “disciplines” of faith in order to understand and grow in faith. But the habits are not the mark of a disciple. Christ-like character is! Do we live humbly, exhibit the “fruit of the Spirit”, consider others…Love one another? Over the past few months a number of our messages have included themes of sufferings and difficulties in life, and one might get the impression that to follow Christ is all down-and-out hardships. We don’t share those things to be depressing or because we have a cup-half-empty worldview. We do that to help each of us have a clear perspective that, despite the modern western view that we should have a life of ease and happiness, we live in a broken world and following God doesn’t exempt us from experiencing it’s hardships. What makes our message different, however, is that the sufferings of life are not wasted in God’s plan. A verse in the message this past weekend was, “Trouble produces patience, and patience produces character, and character produces hope.” Romans 5:3-4 The process “in God’s plan” leads to hope. Outside of God, there is no hope. So do we as followers of Christ have times of happiness and joy and ease? Yes, of course. Can we experience God and grow to be like Him in those times? Yes, of course! But let’s not be naive or caught off guard or run from the difficult times in life for as we face them with the view that God is working in us, then we are led to a hope, a Christ formed in us hope! Ministry is an interesting concept There are so many aspects and layers to it. As I brought out in my message this weekend it is “anything” you do to bless others and honor God. And yet, I also brought out that we are called to find a role in our church family to fulfill our corporate calling to reach our community. So there is this tension between “where” and “how” I serve that seems to be casting a shadow on all of this. That is until we remember, ministry is less of what we DO and more of who we ARE. We are ministers! The creation of the career pastor has kind of messed us all up a bit in our idea of ministry. God has shaped and called all of us to be ministers. And as we understand our new identity as Christ-followers we can begin to tune our “ears” to hearing the Spirit of God lead us to bless others at any given time. There is another tension that casts a shadow, and that is the “need” versus “gift/skill” area. I’m going to speak to this in context of finding a role in our church. At the Connection Sunday this past weekend you saw serving teams with sign-up sheets expressing they need people to be on their teams. And as you walk from table to table you may think, “well, I don’t know where I fit in! I love to cook, or I love organize things, or I love to help people …(fill in the blank).” And you just don’t know how your gift or skill fits in with so many of the teams. We had a discussion about this as a staff this week and so I want to pass this on to you – we understand the potential disconnect for many of us! And we are committed to figure out ways to make opportunities to serve be more relatable to your gift mix rather than our team/department name. Our next Connection Sunday will be based more on gifts and skills required instead of ministry teams! And to start off the opportunity to serve… if you are a person who likes to organize things and help communicate systems, I would love to have you help me create an even more relatable Connection Sunday Ministry Fair! Until then, here is what you can do to find a place to serve now. If you know what your gifts and interests are, I and many others on our leadership would LOVE to talk to you about custom areas for you to jump in. 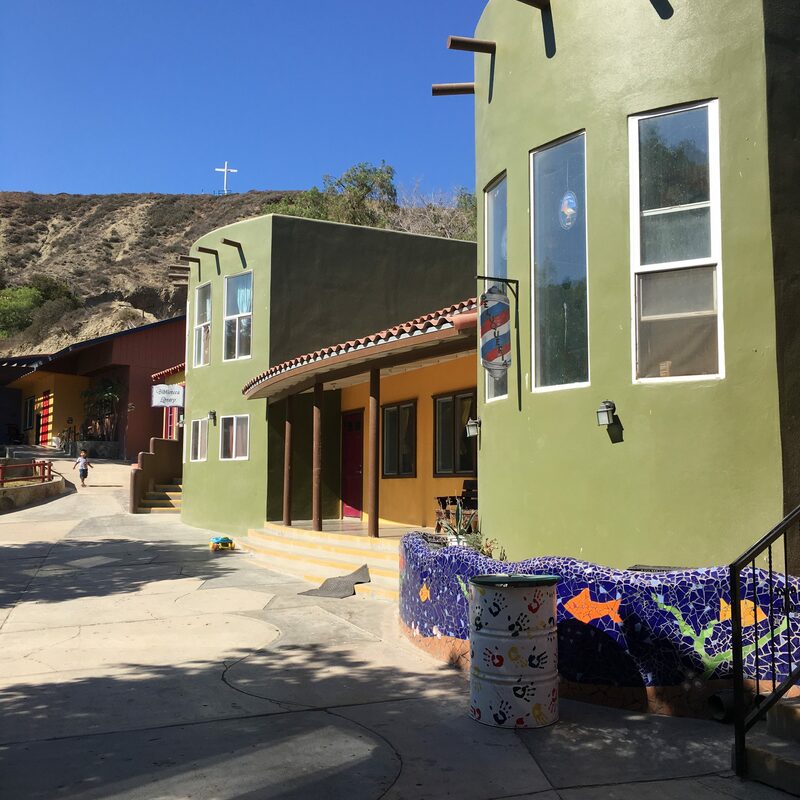 There is a place for EVERY gift here and there are more opportunities than you can imagine to be part of the great calling YOUR church has to make difference in Half Moon Bay. If you really hunger to take those next steps to serve, then please reach out and we will help you find a role that can be very fulfilling for you and a powerful blessing for those you serve. It starts with a couple of “reframing” actions. First, begin to embrace your calling as a full-time minister rather than an occasional volunteer. Second, become self-aware of what you bring to the table. You ARE gifted in some way by God and likely more than you give yourself, or frankly God, credit for! Third, recognize that those gifts can be used for more than your career or hobby and instead or in addition can lead people to experience God! So much can be drawn from that passage and the verses surrounding it. But what struck me that week and again today is the “serve the Lord enthusiastically” phrase. I want for us all to love serving and give our all to this high calling, and to just go for it! As you move forward in your adventure, the adventure to see others blessed by God working through you, I pray you experience the incredible joy that God has in store for you! Evangelism; The Highest Form of Worship! This is our final update email and therefore my last blog post on our purposes. I have been privileged to be part of this event with our church and I hope you have been moved to take steps closer to Christ in trust and faith. Evangelism is really an interesting call or purpose for our lives. Certainly, if any of these are controversial, it’s this one. Just the word…evangelism…has developed an awkwardness these days. For many it conjures up images of TV preachers or street corner harassment or door-to-door campaigns. Our fears of rejection or turning people off or being labeled judgmental or just not knowing what to say gets the best of us. And yet it’s the sharing of the “good news” that is the last thing Jesus told us to do when he left this earth. I don’t know about you, but I get pretty excited about my latest tech gadget or running shoe, and want to tell people. And practically every survey I have ever taken about a product or customer support asks how likely I am to tell somebody. So if it’s expected that I share about the insignificant, then how much more should I about the eternal? I don’t ask that to guilt any of us! I understand our fears. But let me present this in just a bit of a different way for a moment. As we have learned of the 5 purposes, they have been presented as individual attributes or callings that we should aspire to develop in our lives. Sort of a measuring stick to see how healthy we are in our faith development. I want us to do just that, and yet instead of seeing them as separate, we should also see them as integrated and intertwined and all of them as “worship”. An old statement from church history says, “The chief end of man is to glorify God and enjoy Him forever.” John Piper takes it a step further and changes the last half to “by enjoying Him forever”. So if worship is our goal, then how does evangelism fit in as the highest form of worship as my title suggests? Our God is worthy enough for all of mankind, and more personally, our friends and family, to give their lives. Our God is worthy enough for us to “shout from the mountain tops” of what He has done in our lives. By sharing the good news, we in fact worship! And if one more person gives their life to Him, one more person is a worshipper. I don’t know if that helps any of us overcome our internal obstacles to sharing more. But perhaps by seeing it’s importance, we might make the opportunity to work through our obstacles more intentionally. We have the good news! Let’s pass it on. In recent months a number of thoughts have been bouncing around in my mind. But even deeper, my heart. Life has been going on with all it’s busyness. Demands for work projects, recovery pain from latest marathon, family activities – just like everyone, I am busy. But like an underground spring, there have been thoughts of what could be. What I hope for. What I sense is missing or coming up short in my life. I’m not depressed at all. Rather quite hopeful and encouraged! These thoughts have been spurred on by a few passages of the bible that have come up in some of my readings or small group discussions. They devoted themselves to the apostles’ teaching and to fellowship, to the breaking of bread and to prayer. Everyone was filled with awe at the many wonders and signs performed by the apostles. All the believers were together and had everything in common. They sold property and possessions to give to anyone who had need. Every day they continued to meet together in the temple courts. They broke bread in their homes and ate together with glad and sincere hearts, praising God and enjoying the favor of all the people. And the Lord added to their number daily those who were being saved. Acts 2:42-47 (NIV). Each of these passages have burrowed deep into my heart to create this longing. As pastors, church leaders, and workers in our churches (paid or not) we are part of a powerful experience, opportunity and responsibility to be part of presenting “everyone fully mature in Christ”! I know life can be busy and overwhelming. I know that we can lose some of the wonder and joy and passion for what we do in ministry and see it as another obligation or task. And at seasons in my life it has been reduced to that. I want the awe! I want the amazement! I don’t long for some 1st century re-creation of the church. It can never be exactly like that. I’m not expecting signs and wonders. I’ll take them, sure. I don’t envision a series of revival meetings with ecstatic behavior either. What I see, what I hunger for is a revival of community. The principals of the Acts community can be developed. And there is no greater miracle to be seen than “Christ formed in us”. I want to see the Lord adding to our numbers daily. I want these things for my generation! My time! I want to see a church strenuously contending with all the energy Christ so powerfully works in us! I’m seeing signs of that in my particular local church right now, but my hope is for the Church, not just my church. I don’t want to dismiss what I know He is already doing now, or imply we are not “strenuously contending” now. I see the power of God at work all the time and am moved to praise and gratefulness. I just have this sense there is something…more. I want to encourage us today to make space in our hearts for the wonder to grow – the wonder that God would use each of us to transform lives. Let’s not get caught up in the distractions of politics…God is bigger than America! Let’s stop whining about the marginalization of the church in America and be the church America…and the world needs. Our authority is not given to us by congress or the zeitgeist of culture, but by Christ! Let’s not try to impose our faith on culture, but compel our culture to adopt our God through the irresistible grace He offers! Let’s devote ourselves to the teaching and the fellowship and the prayer. Let’s fill our worship centers with praise and celebration and let’s fill our homes with each other – admonishing and teaching and encouraging and proclaiming.